Each year, legislation is introduced that aims to increase energy efficiency standards for U.S. public buildings. In 2015, states enacted legislation encouraging energy efficiency by bolstering state efficiency policies, strengthening building energy codes, and increasing efficiency in public buildings. According to the National Conference of State Legislatures, nearly 600 bills on energy efficiency were considered and ultimately over 90 were enacted. But do these state energy requirements actually make a positive impact? According to the American Council for an Energy-Efficient Economy, in the coming years, states may increasingly rely on energy efficiency as a least-cost resource and driver of economic growth. 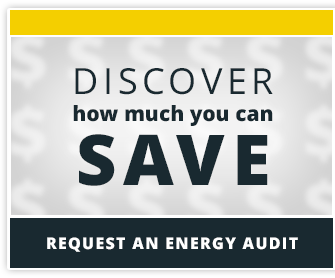 Energy efficiency is considered the cheapest method of providing Americans with electricity. Energy efficiency requirements for public buildings are contributing toward decreasing costs. Energy standards for federal buildings are increasingly stringent. New federal buildings are required to perform 30 percent better than the baseline standard when doing so is cost-effective within the lifecycle of the building. The myriad of standards and regulations for government buildings is contributing to an overall decline of energy use in public buildings. Over the last several years, states have been updating or strengthening building energy codes to help owners and renters reap the economic and comfort benefits of improved HVAC and insulation. This is significant, because decreasing building energy consumption can reduce operating costs, lower emissions and energy demand, and have short payback periods (as low as 2-3 years). Currently, 44 states, Washington, D.C., and four territories have established state building energy codes for commercial buildings. As individual states continue to focus on reaching their energy goals, the United States as a whole is reducing energy consumption in public buildings. The legislation and energy standards that regulate energy use continue to help states focus on reducing energy use and lowering operating costs.